It seems a little nuts that this summer has been mild enough to have us craving soup, but you won’t hear me complaining. By all rights we should have been experiencing temperatures in the 100’s by now, with crazy oppressive humidity. Instead, we are seeing mere 80’s. It’s wonderful. I could love summers if every year was this way. That’s not to say we won’t get punished by a brutal September or October (hey, it could happen….in fact it HAS happened in the past), but for now I am going to revel in actually being able to work in the garden without wanting to die from heat stroke. Before I left for my long weekend away, I made sure to put up several meals that my family could reheat easily and not resort to ordering pizza every night. 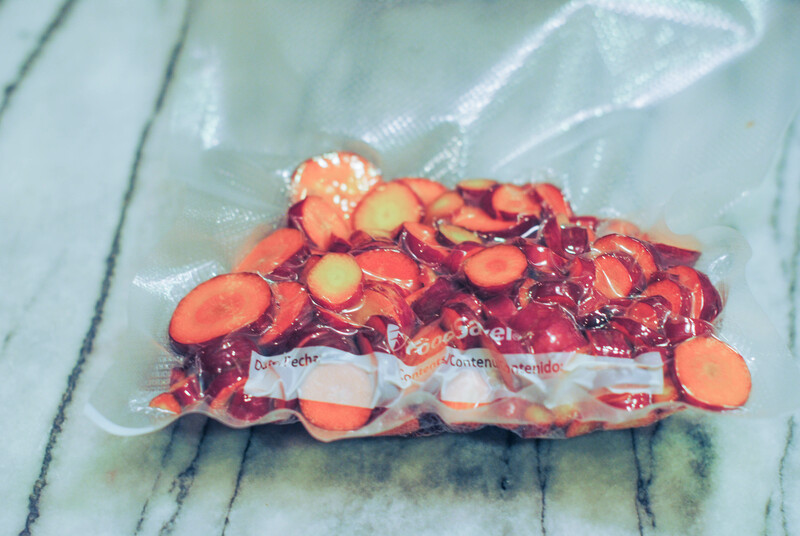 At the same time, I was cleaning out the freezers and came upon a whole frozen chicken carcass from a roast chicken dinner this spring and several bags of frozen vegetable scraps (bell pepper cores, carrot and celery tops, onion skins). An idea was born. 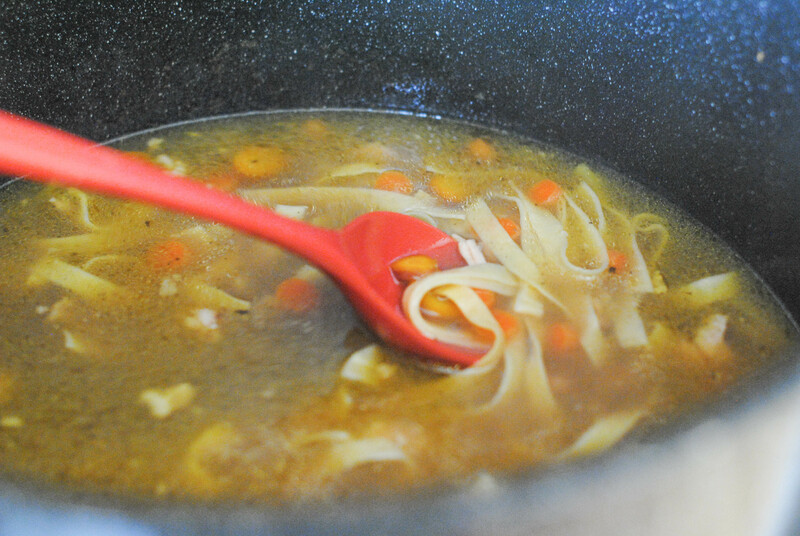 A big pot of chicken noodle soup would take care of using up that food before it went south, and would make several meals to leave behind. To begin with, I let the carcass thaw a bit, but since it was already cooked and mostly just bones and some fat I wasn’t too concerned. I seared it a bit in a big pot with olive oil to brown it up a bit. 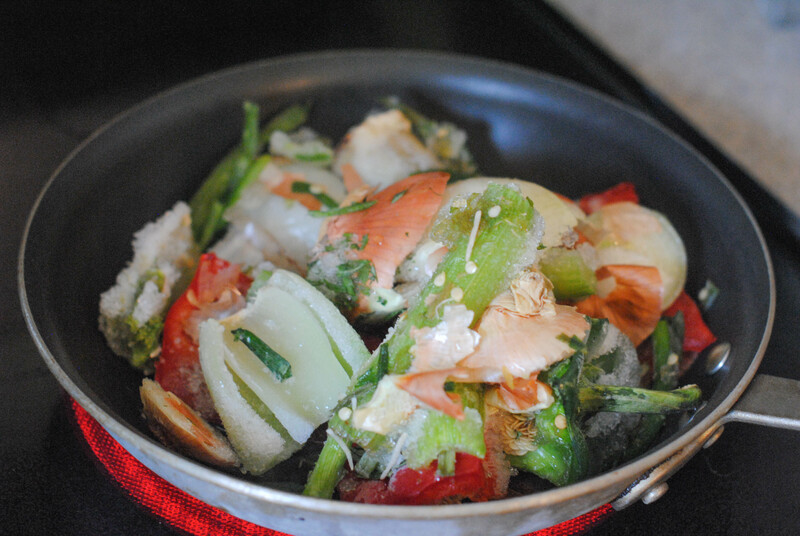 While that was going, I did the same thing with the vegetable scraps in a saute pan. 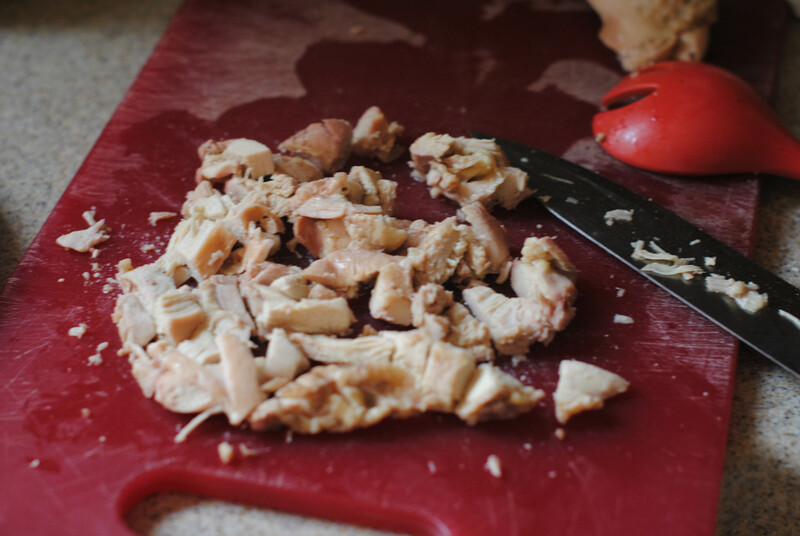 Once I had both the chicken carcass and the veggie scraps browned up a bit, I threw the scraps in the pot with the chicken and filled it up with water. 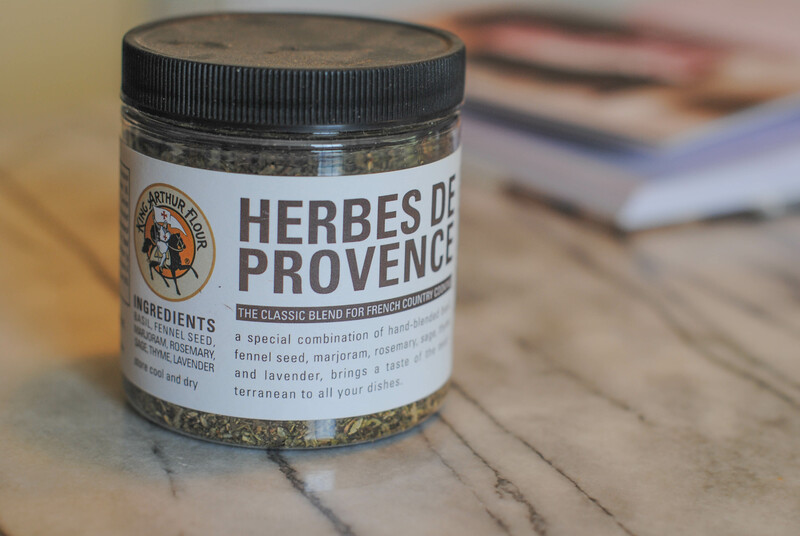 Then I dumped several tablespoons of Herbs de Provence on top and stirred it all up. A few grinds of black pepper and a shake or two of sea salt and then I brought it all to a boil. Then I reduced the heat to low, put on the cover, and let it simmer for nearly 12 hours. In the meantime, I picked a decent bunch of carrots from the garden and washed them up to add to the soup. 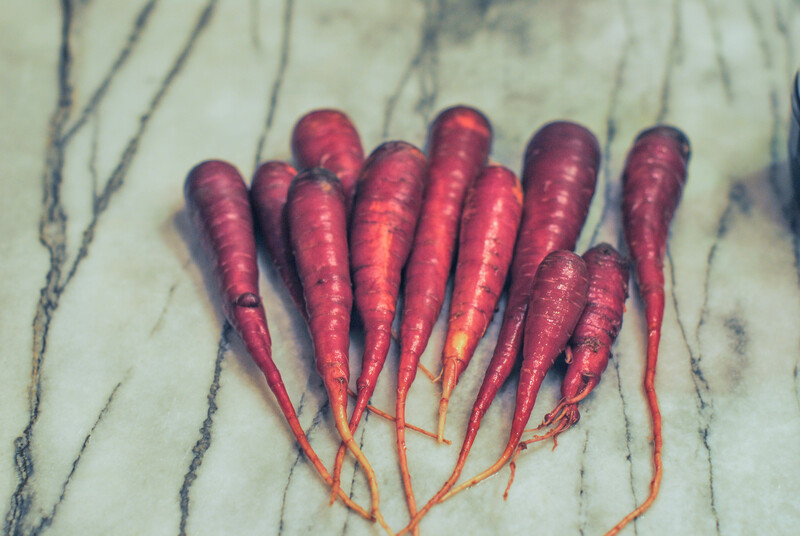 Yummy heirloom carrots! I sliced them all up, and since I wasn’t sure if they’d be added the next day or the day after (depending on when I got to finishing the soup) I put them in a food saver bag and packed them tight to keep them fresh. Nifty, right? 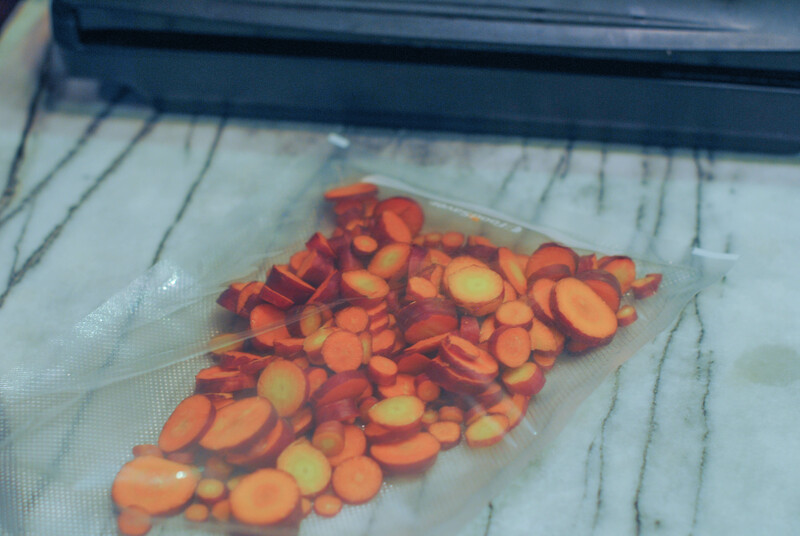 This was not nearly enough carrots, though! I had to add a whole bunch more that I bought at Trader Joe’s so the soup would be nice and full of them. I think I used 3 or 4 cups of chopped carrots for my pot. When my stock had simmered down to where I wanted it to be volume and flavor-wise, I browned up some boneless chicken thighs I’d also found in the freezer clean-out. 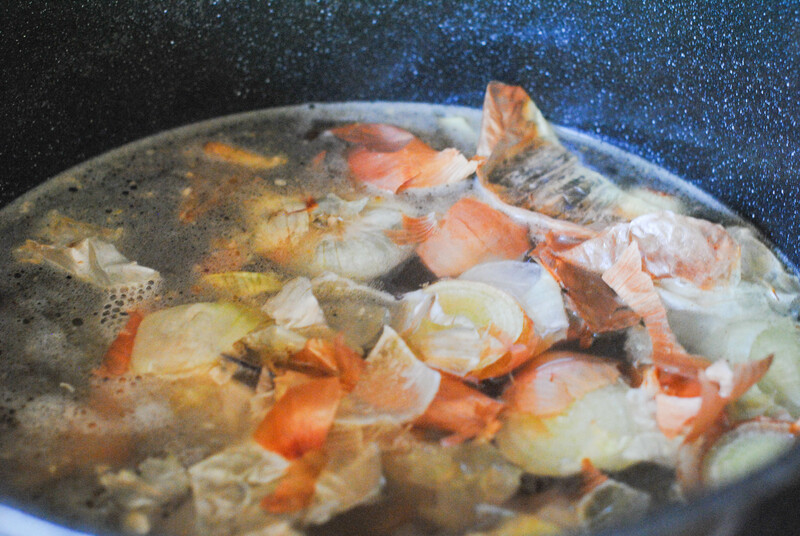 While they were sauteeing away, I strained the bones and scraps out of my chicken stock to leave only the liquid. Then i added the meat. I like using thigh meat for soups because it is so much more flavorful than breast meat. While that was going on, I also whipped up a batch of homemade pasta dough using THIS recipe. 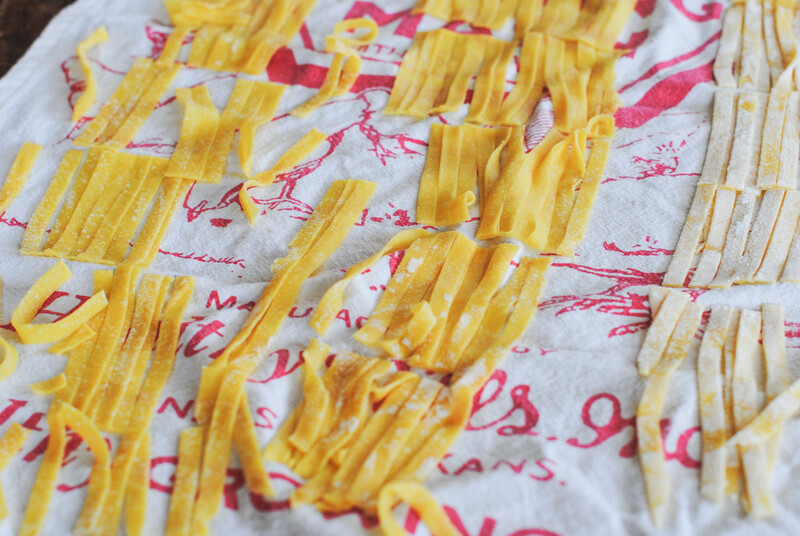 I rolled it through the linguine cutter and then cut that into smaller strips and let it dry for about an hour. I threw all of the carrots into the soup with the broth and meat, and then, for good measure, chopped up some celery and onions and threw that in as well. I taste-tested for salt and herbs, but I honestly didn’t have to add any. The slow simmering had made a very flavorful broth. The pasta went in a handful at a time to keep it from sticking together. At the end it looked and smelled divine. The kids LOVED it. I was able to freeze several quarts of it for them to enjoy while I was away, and enjoy they did! Neve has been calling this the “Summer Chicken Soup” so as to differentiate it from the Garlic Chicken Soup we make all winter which is so medicinal for us. I loved it because I went in with no recipe, just a knowledge of what I hand on hand and how I wanted it to taste. Improvisation in the kitchen is really fun for me, and this was no exception; particularly because so much of it was grown here and made completely by hand. I’ll certainly be doing this again! This entry was posted in Kids and tagged Farm, food, Garden. Bookmark the permalink.